If you enjoyed the awesome commentary and gameplay on PES 2018, then, you might have been waiting patiently for Pro Evolution Soccer 2019. The game which has been released for Windows, Xbox One and PlayStation 4 since August is the 18th instalment to the popular PES Series game. For all Android users that have to wait for the mobile version, you can now download the PES 19 ISO for PSP game on your Android devices. Just like we have reviewed earlier, you will need a PSP emulator like the PPSSPP to play this PES 19 ISO. PES 19 ISO file is updated with 2018 FIFA world cup experience and you can now enjoy same on your mobile phone. It is updated with all countries that participated in the FIFA 18 world cup like England, Belgium, France, Australia, Germany, South Korea, Argentina, Brazil, Uruguay, Nigeria, Senegal, Peru, Japan etc. The PES 2018 mobile version is still one of the hottest soccer game on play store and I for once has been looking forward to the release of the official PES 19 Apk and Obb for Android. The latest Pro Evolution Soccer 2019 brings into gaming experience high Graphics, latest player transfers, Current jersey, updated in-field ball, commentary and stadiums. Also included are new leagues and official UEFA Champions League tournaments. WHERE CAN I DOWNLOAD PES 19 ISO PPSSPP ENGLISH FOR ANDROID? Also added improved Player Goal Celebrations to match their real-life celebrations. 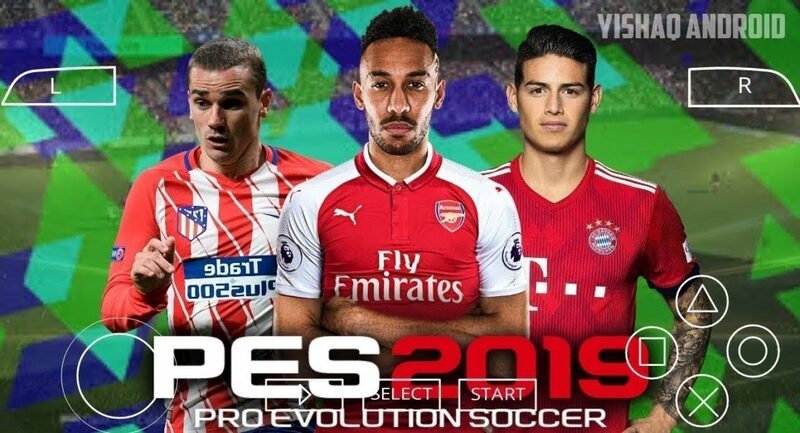 Below is the free PES 2019 PPSSPP ISO File download link plus the Save data for Android. The game save data contains a list of transfers, Real logos, and player updates. Finally, tap the PES2019and enjoy the gameplay. The file is no longer available. How do I download it now? Broken link, please do fix Mr admin.